I started out as a historian, spending a year in Derry in 1987 doing research for an MA in history on Derry 'before the Troubles' under the supervision of Prof Gearóid Ó Tuathaigh in Galway. The thesis looked at the origins of the civil rights movement and the conflict in the 1950s and 60s. After spending a year in Berlin I started a PhD in politics at Queen's University Belfast with Paul Bew in 1990, looking at the escalation of conflict in the early 1970s. The thesis was published as the book 'From Civil rights to Armalites'. After a number of years when I was concerned primarily with the online world (establishing the University of Ulster's 'Conflict Data Service' and writing two textbooks on Internet research) I have returned in the past few years to research on conflict. My principal current interests are in conflict and territoriality, conflict and new technologies and attempts to moderate or resolve conflict. I am a founding convener of the ECPR Standing Group on Political Violence and co-convener of the Political Studies Association of Ireland Specialist Group on Peace and Conflict. I have organised several conferences, workshops and panels on the theme of peace and conflict in recent years. Full details on my blog at niallodoc.wordpress.ie. 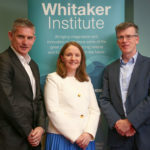 At NUI Galway I am cluster leader for the Conflict, Humanitarianism and Security research cluster in the Whitaker Institute and Chair of the Research Committee in the School of Political Science and Sociology. My main research interests are in conflict, negotiation, territory and new technologies and I have published on these topics in a wide range of academic journals. Full information is available at niallodoc.wordpress.com. I have written a study of the escalation of the Northern Troubles in the early years of the conflict called From Civil Rights to Armalites: Derry and the Birth of the Irish Troubles (Cork UP 1997; Palgrave 2004) and two books on internet research. My current research analyses secret communication between the British government and the IRA in the Northern Ireland conflict and I have a publication coming out soon called 'The Longest Negotiation: British Policy, IRA Strategy and the Northern Ireland Peace Settlement', to be published in Political Studies. I am convener of the specialist group on Peace and Conflict of the Political Studies Association of Ireland and a founding convener of the Standing Group on Political Violence of the ECPR (European Consortium for Political Research). We run a blog on the subject at polviolence.net. I started out as a historian, spending a year living in Derry in 1987 doing a research MA in history on 'Derry before the Troubles' under the supervision of Gearóid Ó Tuathaigh in Galway. The thesis looked at the origins of the civil rights movement and the conflict in the 1950s and 60s. After spending a year in Berlin in 1989/90 I started a PhD in politics at Queen's University Belfast with Paul Bew in 1990, looking at the escalation of conflict in the North of Ireland in the early 1970s. After a number of years when I was concerned primarily with the online world (establishing the University of Ulster's 'Conflict Data Service' and writing two textbooks on Internet research) I have returned in the past few years to research on conflict. I have spent time as a visiting scholar at the University of California, Berkeley; the Annenberg School for Communication, USC; Queens University Belfast; the University of Auckland and the University of Otago. (2014) Internet Research Skills, Chinese translation of the third edition. (2012) Internet Research Skills, 3rd Edition. (2012) Internet Research Skills, Chinese translation of the second edition. (2007) Internet Research Skills, 2nd Edition. (2005) From Civil Rights to Armalites: Derry and the Birth of the Irish Troubles, 2nd edition. (2002) The Internet Research handbook: a practical guide for students and researchers in the social sciences. (1997) From Civil Rights to Armalites: Derry and the birth of the Irish Troubles, 1st edn. (2015) The Clash of Civilisations in the 21st Century? (2017) Dynamics of Political Change in Ireland: Making and Breaking a Divided Island. (2015) Political Violence in Context: Time, Space and Milieu. (2017) Review of Hunger Strike: Margaret Thatcher's Battle with the IRA, 1980-81. By Thomas Hennessey. English Historical Review. (2014) Review of Belfast and Derry in Revolt: A new History of the start of the Troubles. By Simon Prince and Geoffrey Warner. In Irish Political Studies. (2013) Review of Building Peace in Northern Ireland. Edited by Maria Power (Liverpool: Liverpool University Press, 2011). (2012) Ó Dochartaigh, Niall (2012) Review of The Destructors: the story of Northern Irelands Lost Peace Process. By Michael Kerr. (Dublin: Irish Academic Press. 2011). (2011) Review of Indivisible Territory and the Politics of Legitimacy: Jerusalem and Northern Ireland by Stacie E. Goddard. (2009) Review of Northern Irelands 68: Civil Rights, Global Revolt and the Origins of the Troubles by Simon Prince. (2007) Review of The making and remaking of the Good Friday Agreement by Paul Bew (Dublin, Liffey Press; 2007). Verbal Magazine. (2007) Hayes, Patrick and Campbell, Jim, Bloody Sunday: Trauma, Pain and Politics. Pluto, 2005. (2006) Review of Stanley Engerman and Jacob Metzer: Land Rights, Ethno-Nationality, and Sovereignty in History. (2003) Liam Clarke and Kathryn Johnston, Martin McGuinness: From Guns to Government. (2002) Brendan O'Leary, Ian S. Lustick, Thomas Callaghy: Right-sizing the State: The Politics of Moving Borders. (2002) Review of Pippa Norris: Digital Divide: Civic Engagement, Information Poverty and The Internet Worldwide. (2002) Wayne A.Selcher: The WWW Virtual Library: International Affairs Resources. (2001) Colin Coulter: Contemporary Northern Irish Society: An introduction. Irish Journal of Sociology. (1998) Jens Hoff, Ivan Horrocks and Pieter Tops: Democratic Governance and New Technology: Technologically mediated innovations in political practice in Western Europe. (2014) 'Reversing the mechanisms? A relational analysis of the termination of the IRA campaign'. ECPR General Conference, Glasgow. (2014) 'Still a Country? Nation, State and Territory on the Island of Ireland'. PSAI Annual Conference, Galway. (2014) 'Organisational foundations of military power: comparing the Irish Republican Army and the Army of the Serbian Republic in Bosnia', ECPR General Conference, Glasgow. (2014) 'Still a Country? Nation, State and Territory on the Island of Ireland'. Lifeworlds: Space, Place and Irish Culture Conference, Centre for Irish Studies, NUI Galway. (2014) 'Re-materialising conflict? Land, territory and power in a resource-constrained world'. Globaler Wandel und Macht: Offene Tagung des AK Umweltpolitik/Global Change [Global Change and Power: Conference of the Specialist Group on Environmental Politics and Global Change of the DVPW], Freie Universität Berlin. (2013) Five Propositions on Negotiation and Political Violence, PSAI Annual Conference, TCD, Dublin. (2013) Withdrawal on the Table? Labour Government Policy on Northern Ireland, 1974-76′. The British Labour Party and Twentieth-Century Ireland conference, National University of Ireland Galway. (2013) Rebels for Peace? Republican Agency in the Irish Peace Process. ECPR General Conference, Bordeaux. (2013) Territorial Typologies of Political Violence. Workshop on Typologies of Political Violence, European University Institute, Florence. (2012) 'Anti-State Militants as Agents of Peace? Republican Agency in the Irish Peace Process. PSAI annual conference, Derry. (2012) The Longest Negotiation: British policy, IRA strategy and the making of the Northern Ireland peace settlement, Talking Peace Seminar, National University of Ireland Galway. (2012) Territoriality and Organised Violence Armed Conflict in Comparative Perspective conference, National University of Ireland Galway. (2011) Trusting the enemy: the development of a negotiating relationship between the British Government and the IRA . PSAI annual conference, UCD, Dublin. (2011) Cities inside out: the externalization of cities in conflict. Divided Cities conference, Queens University Belfast. (2011)  Outcomes of negotiated deradicalization in the Irish peace process. European Consortium for Political Research general conference, University of Iceland, Reykjavik. (2011) The Provisional IRA: a movement oriented to negotiation. Reassessing the IRA, Annual London Irish Studies symposium, Kings College London. (2010) Nationalism, Negotiation and the Divisibility of Territory. Political Studies Association of Ireland annual conference, DIT, Dublin. (2010) Nationalism, Negotiation and the Divisibility of Territory. Nationalism and Organised Violence Conference, NUI Galway Centre for the Study of Nationalism and Organised Violence in association with the Political Studies Association of Ireland specialist group on Peace and Conflict. (2010) IRA Ceasefire 1975: A missed opportunity for peace? Reassessing the 1970s. Centre for Contemporary British History, UCL, London. (2009) Bloody Sunday and the Politics of the British Army. Political Studies Association of Ireland annual conference, Liverpool Hope University. (2009) Bloody Sunday: Design or Error? American Conference for Irish Studies, NUI Galway. (2008) Understanding Bloody Sunday. Public talk at NUI, Galway, under the auspices of the Centre for Irish Studies. (2008) Territoriality and the Civil Rights Movement in Northern Ireland. BSA Theory Study Group Conference; 1968: Impact and Implications. (2007) Between Nation and Neighbourhood. Association for the Study of Ethnicity and Nationalism annual conference. (2007) Nation and Neighbourhood in the North of Ireland. QUB Beyond the Nation conference. (2007) Bloody Sunday. Public talk at NUI, Galway. (2007) Territoriality in Frank Wrights Northern Ireland: a comparative analysis. Political Studies Association of Ireland annual conference. (2006) Conflict, communication and online boundaries. First Galway conference of Irish Studies. (2006) Conflict, territory and online boundaries: a case-study from Belfast. Royal Geographical Society - Institute of British Geographers annual conference. (2005) Security policy divisions and Bloody Sunday. Political Studies Association of Ireland annual conference. (2005) Panelist on round table: Useful Pasts? Myths and Realities of the  Ulster Scots/Scotch-Irish in Ireland and America. American Conference for Irish studies. (2005) Whitecity under attack: territorial conflict at an online interface. Borders and Margins conference. (2005) Speaker on panel: The Truth of Bloody Sunday: Perspectives. Bloody Sunday Week. (2004) Ulster Loyalists imagine an American audience. Political Studies Association of Ireland annual conference. University of Limerick. (2004) Unionist identity in the Age of the Internet. Unionist Identities research seminar. (2003) Increasing mobilization potential: Ulster Loyalists reach out to an American audience. Online Political Activism: Mobilizing and Organizing in the Age of the Internet. USC Annenberg School for Communication, Los Angeles. (2001) Building new international networks online: the case of Ulster Loyalists. Political Science Association of Ireland annual conference, Galway. (2000) Language and group identity: an awkward relationship. Theorising Collectivities conference, NUI, Galway. (2013) Special issue on Nationalism, Territory and Organized Violence. (2010) Northern Ireland. In The Encyclopedia of Political Science. (2003) The British Army in Northern Ireland. Encyclopedia of Ireland. (2017) Researching the Irish Troubles: Politics of interviewing in a post-conflict society. (2017) Nation, State and Territory on the Island of Ireland. (2013) Tábhacht an Tuaiscirt do Phobal an Deiscirt (The importance of the North for people in the Republic of Ireland). Merriman summer school, Lisdoonvarna Co. Clare. (2011) Ending the Northern Ireland Conflict: Back-channel Negotiation in the Irish Peace Process. School of Politics, International Studies and Philosophy, Queens University, Belfast. (2010) Truth, History and the Bloody Sunday Inquiry. Public talk, Centre for Scottish and Irish Studies, University of Otago, New Zealand. (2009) Bloody Sunday: Error or Design? St Catherines College, Oxford. (2007) A Botched State or Triumph of Terrorism?. The Northern Ireland Troubles Contesting History series. (2005) Political Mobilisation Online. Department of Electronic & Electrical Engineering, Network and Telecommunications research unit seminar. (2004) Internet Politics. Politics Society, TCD. (2001) Territorial strategies for maintaining minority languages: the case of Ireland. Trinity College, Carmarthen, Wales. (2016) Body and Clock: Time Pressure in Hunger Strike negotiations. (2016) Citizenship on the Ethnic Frontier: nationality, migration and rights in Northern Ireland since 1920. (2016) The Rules of Hijacking: coercion and consent in the urban statelets of the IRA. (2014) a great disorderly Tangle of Lines. Dealing with the Past in Northern Ireland, London Irish Studies Seminar Symposium, Kings College London. (2012) 'Back-channel communication in divided societies. Divided Societies XV, Inter-University Centre, Dubrovnik, Croatia. (2011) Republicanism domesticated? All-Ireland politics in an age of austerity. Northern Ireland: Fragile Peace in an Age of Austerity, Birkbeck College, London. (2011) Making Peace in Secret: Back-channel Negotiation in the Irish Peace Process. University of Limerick Dept of Politics and Public Administration seminar. (2010) Power, Rationality and the Bloody Sunday Inquiry. Bloody Sunday Symposium. Dept of History, Kings College London. (2010) Through Secret Channels: Covert Negotiation in the Irish Peace Process. Public talk, National Centre for Peace and Conflict Studies, University of Otago, New Zealand. (2010) Truth, history and public inquiry. Auckland Branch of Society for Legal and Social Philosophy. (2009) 'The Brendan Duddy papers. Revisiting the Troubles: new research findings. Policy Exchange, London. (2009) Policing the uneven spaces of the ethnic frontier (QUB ). (2008) New Technologies in a Divided City, QUB. (2007) The Contact: understanding a communication 'pipe' between the British government and the IRA. Track Two to Peace? . Public Diplomacy, Cultural Interventions and the Peace Process in Northern Ireland. (2007) A multidisciplinary Approach to demarcation and Connectedness in European Culture and Society. Coimbra Group Conference - Networking across Borders and Frontiers. (2004) Ulster Loyalists imagine an American Audience. National University of Ireland, Maynooth. (2000) The Irish conflict on the Internet, Global Information Warfare conference, University of Missouri, Columbia. (2016) Time and Emotion: the hunger strike as protest tactic. (2016) Negotiating the Irish Republican Hunger Strike of 1981. (2016) Time and emotion: the hunger strike as protest tactic. (2017) Sacred Boundaries: the search for peace in Northern Ireland and Israel-Palestine. (2013) 'Violence and Territory in the North of Ireland'. Institute of Geography, University of Neuchâtel. (2012) The Longest Negotiation: British policy, IRA strategy and the making of the Northern Ireland peace settlement.' QUB School of Sociology, Social Policy and Social Work, Social Divisions and Conflict Cluster seminar. (2008) Internet Research Strategies. School of Sociology, Social Policy and Social Work, QUB. (2000) Politics and the Internet. Asia-Europe Young Leaders Symposium, University of Limerick. (2011) Assessing Saville. Panel discussion at the Bloody Sunday Weekend, Derry. (2011) The Brendan Duddy Archive: online exhibition. (2004) A Guide to Ulster Loyalism and Unionism Online. (2001) Online transnational activism on conflict: the case of Ulster Loyalism. Institute of International Studies, University of California, Berkeley. (2000) The Internet and Ethnic Conflict. By Webcast over the Internet to Queens University, Belfast and to INCORE in Derry. (2014) Micro-mobilization into the Provisional IRA. (2010) Making peace in secret: Evidence from the Brendan Duddy papers at NUI Galway. NUI Galway Centre for Irish Studies public lecture. (2006) Colin Crawford, Inside the UDA: Volunteers and Violence . H-Albion, H-Net Reviews. (1998) Brian Dooley: Black and Green: The Fight for Civil Rights in Northern Ireland and Black America. Irl-Comment. (1998) Michael A. Gomez: Exchanging our Country Marks: The Transformation of African Identities in The Colonial and Antebellum South. The Ethnic Conflict Research Digest. (1998) Jeroen Doomernik: Going West: Soviet Jewish Immigrants in Berlin since 1990. The Ethnic Conflict Research Digest. (1998) Andrew J. Wilson: Irish America and the Ulster Conflict. H-Ethnic. (1998) Berch Berberoglu: The National Question: Nationalism, Ethnic Conflict, and Self-Determination in the 20th Century. The Ethnic Conflict Research Digest. (2014) 'The Nation Online: Nations, Borders and New Technologies'. Digital Scholarship Seminar, Moore Institute, NUI Galway. (2010) 'Making Peace in Secret. Departmental seminar, Dept of Political Studies, University of Auckland. This is a small-group course with twenty students around half of whom are Erasmus students from mainland Europe and visiting students from the US and Canada. Students are introduced in the first few weeks to key theories of peace and conflict and to debates on the causes of violence and war. We move on then to the topic of negotiation and peace processes. Midway through the course students give a group presentation on a contemporary conflict and write a related midterm essay applying some of the theoretical perspectives to the conflict they have chosen to look at. We look then in detail at the case studies of Israel/Palestine and Northern Ireland, comparing the causes of conflict and the peace processes in these two cases. We conclude by looking at key issues in contemporary conflict resolution including international intervention and peacebuilding. A second year elective with around 130 students. Political sociology is the study of the relationship between society and politics and the course provides an introduction to both classical and contemporary debates. It reviews the leading theoretical and historical approaches in the field, illustrating theory with concrete empirical work and historical case studies. Among the key issues dealt with are state power, war, political violence, political legitimacy, authority, ideology, citizenship, social movements, nationalism, ethnicity and globalisation. This is the core first year introduction to Politics and Sociology with around 800 students. Each lecture has to be delivered twice in order to accommodate the large numbers. I teach the section on 'Power and the State' which introduces students to theories of power and debates on the state and to the formal structures of government in the Republic of Ireland. First year seminars. I provide this seminar through the medium of Irish. A seminar group with around 15 students supporting the second year modules in Sociology and Politics. I deliver it through the medium of Irish when there is demand. I teach on the politics of conflict in Northern Ireland in this module on the MA in Irish Studies. I also coordinate the contribution to this module of the School of Political Science and Sociology.